Caving enthusiasts (a.k.a. 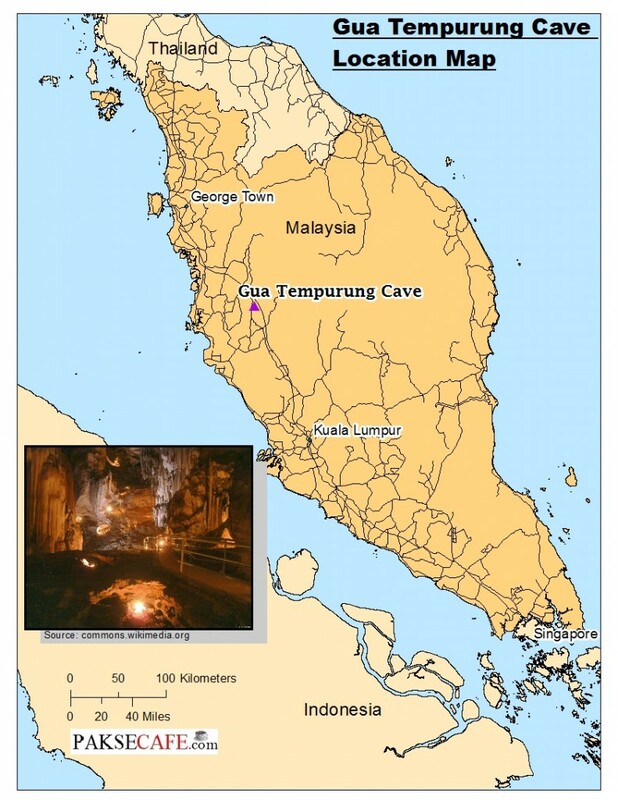 “spelunkers”) and nature lovers from all over the world regularly flock to a marvelous cave structure in Malaysia(facts) known as Gua Tempurung. 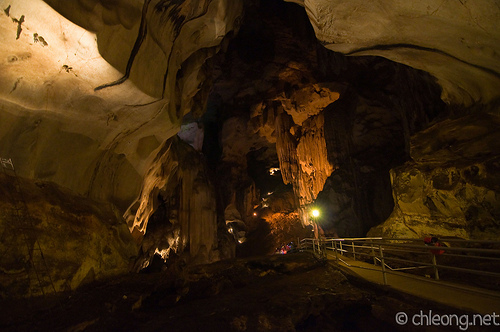 Shaped by thousands of years of natural processes, this elaborate structure is peninsular Malaysia’s largest cave, covering a distance nearly two miles in length. A substantial portion of the structure has been developed into a “show cave”, having been equipped with electric lighting and walkways to accommodate spelunkers as well as sightseers. There are a number of guided tour packages available that vary in length and degree of difficulty for those with adventurous spirits. The cave also houses a river, which runs roughly 1 mile through the hill that contains the entire structure. 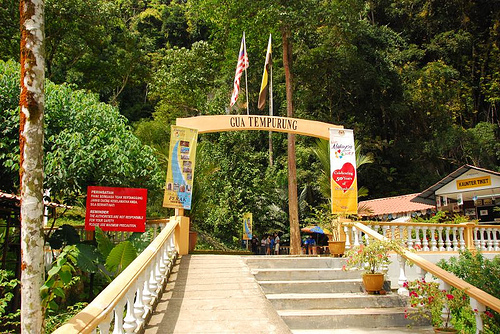 Gua Tempurung is located in Tempurung Valley near Gopeng, Perak, Malaysia, which is roughly 15 miles south of Ipoh, Perak’s capital city. The cave is comprised of three very large chambers and five domelike ceiling structures that resemble coconut shells. This marvelous work of nature features a wide variety of beautiful limestone, calcium and marble formations, as well as various pools of glistening water. Throughout the massive structure are some of the most breathtaking stalactite (hanging from cave ceilings or walls) and stalagmite (growing from cave floor) formations found anywhere in the world. 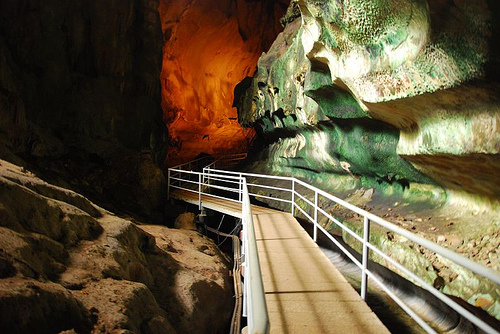 The main attraction at Gua Tempurung is the various adventure touring packages that are available. Outdoor enthusiasts will experience the best that nature has to offer, with activity packages that include caving, archery, zip lining (also called the “flying fox”), river adventures, and paintball shooting. Each package features a different set of preparation requirements, and may be subject to varying weather conditions. If you are looking to experience one of the many Gua Tempurung caving adventure packages, it is important that you wear comfortable shoes and clothing. If you are going on one of the “Wet Tours” (i.e., river adventures), you will need to bring a change of clothes and a towel. Other important items to bring include bottled water, gloves and kneepads, all of which can be stored in a hiking backpack or rucksack. Your tour guide will furnish a torchlight, but depending upon how big your group is, you may need to bring a torchlight as well. Other optional items to bring include a camera (preferably disposable), a helmet, and a first aid kit. One of the biggest advantages of visiting Gua Tempurung is that the weather remains relatively stable year-round, with temperatures typically ranging between 68 and 86 degrees Fahrenheit. This means that regardless of what month you plan to visit, you can expect to experience pleasant weather and beautiful scenery. If the temperatures does hover over high 80 degrees F, make sure to read our article on tips on surviving the heat in South East Asia, especially if you will be hiking. Those who crave adventure and desire to get closer to nature will definitely find Gua Tempurung to be a rewarding and exhilarating experience. Bangkok, Thailand With the Family in Town - What Activities to Do!